Dreambird is ready to participate in tenders and bidding for purchasing of manufacturing automation solutions, equipment and machine tools, etc. 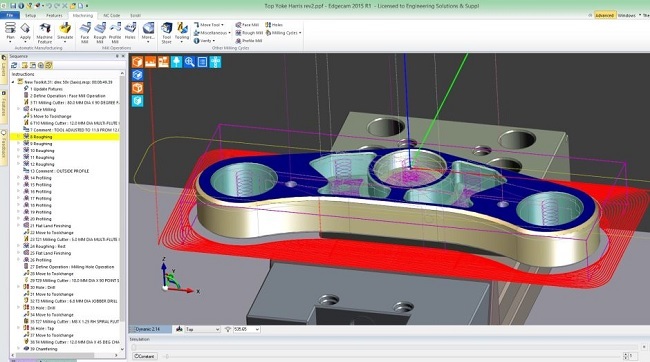 Our experience of participation in tenders and bidding together with the well-known equipment brands suppliers enables us to offer CAD/CAM/CAE/ Hexagon Production Software solutions (RADAN, EDGECAM, WORKXPLORE, VISI, WorkNC) for tenders – we can be sure in their highest quality, flexibility and ease of use. WORKXPLORE – the most powerful, full-featured high-speed, 3D CAD file viewer and analyser. Our aim is to meticulously follow the conditions of tenders and bidding, evaluating the offers, and stay impartial while participating.